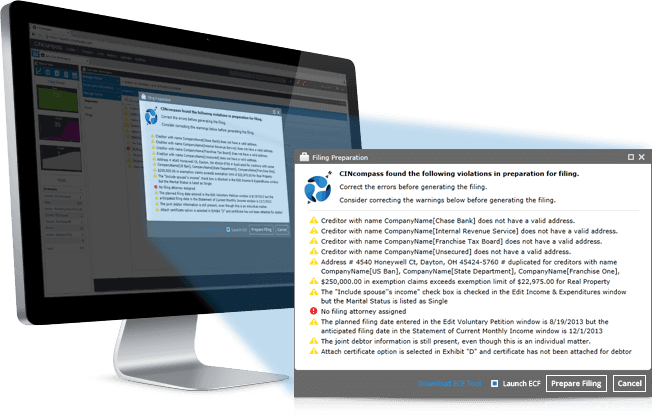 Bankruptcy Forms Software Finally, a bankruptcy solution that doesn't charge you extra. All the tools and functionality you need to prepare, file and deliver top-notch service to your clients. 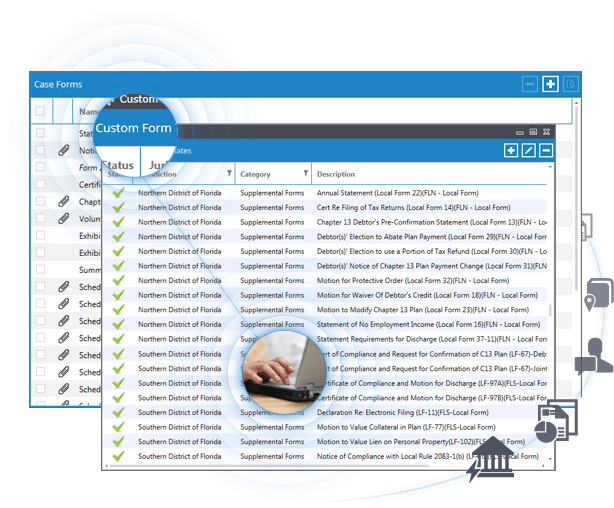 Federal & local forms, Census Bureau and IRS figures, feature enhancements and more!